If you're looking for a high quality, practical yet stylish work trouser kit including knee pads and clip belt, then look no further. 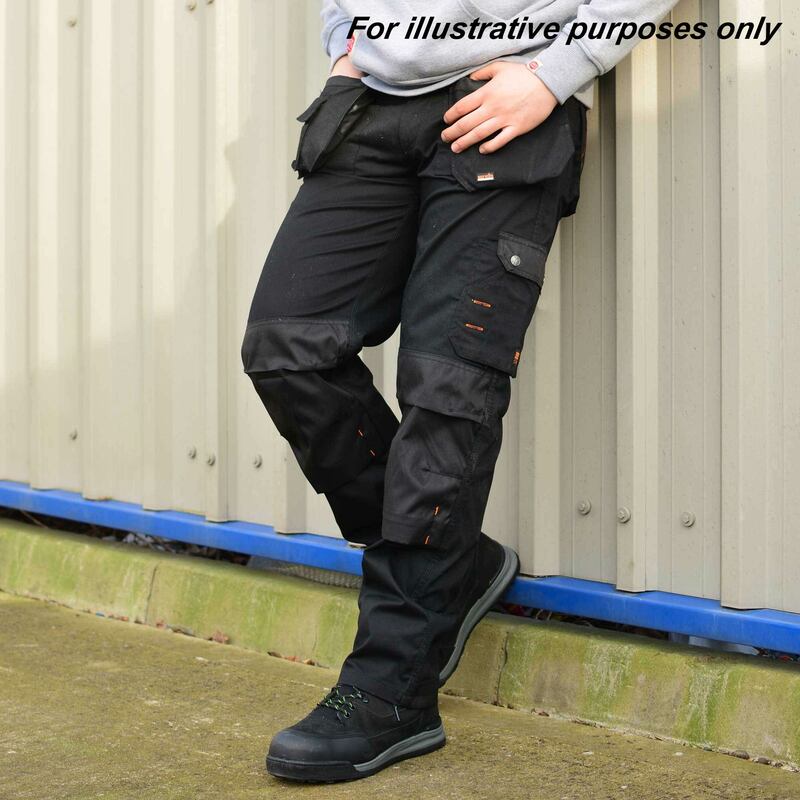 3D Trade trousers (Graphite) are designed using Scruffs curved leg 3D ergonomic fit to give the wearer a comfy fit for ease of movement. 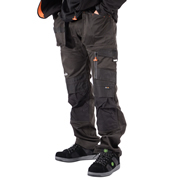 Kit includes T50302 lightweight & hard wearing EVA foam knee pads, ergonomically designed for use by professional tradesmen who spend long periods on their knees. 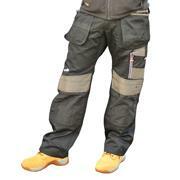 Designed to fit Scruffs Worker, Trade and Pro Trousers. 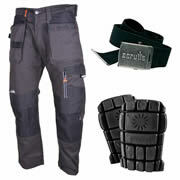 CE rated to EN 14404 Type 2 Level 0 and T50304 tough reinforced, adjustable cotton belt with stylish 'distressed look' gun metal buckle. 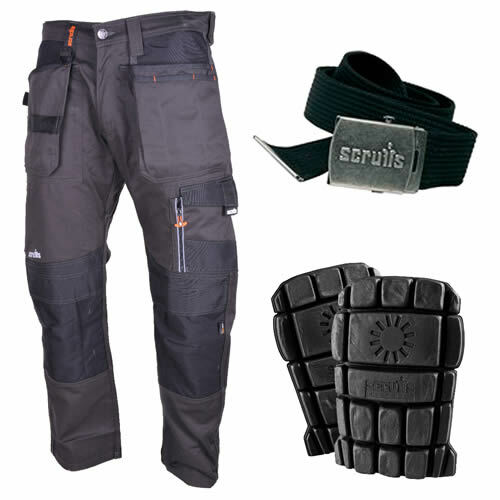 Embossed with Scruffs logo. 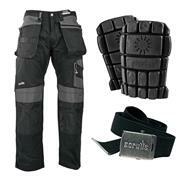 Designed to fit Scruffs Action Trousers and Trade Shorts.